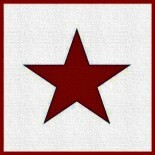 For a white man to elegize men, women, and children, murdered by men whom I resembled, demographically, by men to whom I may be related or for whom I may be mistaken – for this man to elegize these martyrs requires hesitation, a stutter, a silence in which the ghosts of the murdered may be sloughed from my skin, even if only for a moment. how can I say nothing at all? Here, as in the collection as a whole, York strives to describe events almost unbelievable in their ugliness. While yearning to overcome the racial boundaries society has imposed on him, York also understands that escaping these boundaries is nearly impossible. In response, he connects to the subjects of his poems through music; an art form which counters silence, transcends color, and remains relevant even after its creators are gone. Through the trees, the windows. for anything not white as bone. Did we just integrate this place? Clearly, York’s poetry, while inspired by the injustices of the past, is still relevant today. 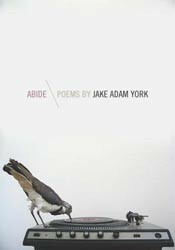 Throughout Abide, York attempts to close the societal gaps that have haunted him since childhood by honoring the martyrs of the civil rights movement, dissecting his own upbringing in the American South, and appreciating the music which was the soundtrack to it all. As the thread woven throughout all aspects of this collection, music transcends both time and place in order to bear witness to inequality. Music then, is a metaphor for York’s poetry, which with reverence, rectitude, and rhythm, challenges us not only to remember, but to change what needs to be changed. Natalie Fisher lives in Jerusalem, Israel, where she is working toward an M.A. in Creative Writing from Bar Ilan University. Her work is featured in Blue Lyra Review, The Culture Trip, Poetica Magazine, and others.